Should I remove succulent flowers? This is a tough question. “Should I remove my succulent flowers?” has been asked at more than one presentation over the years. My preference is yes, but let’s look at the pros and cons of both options. 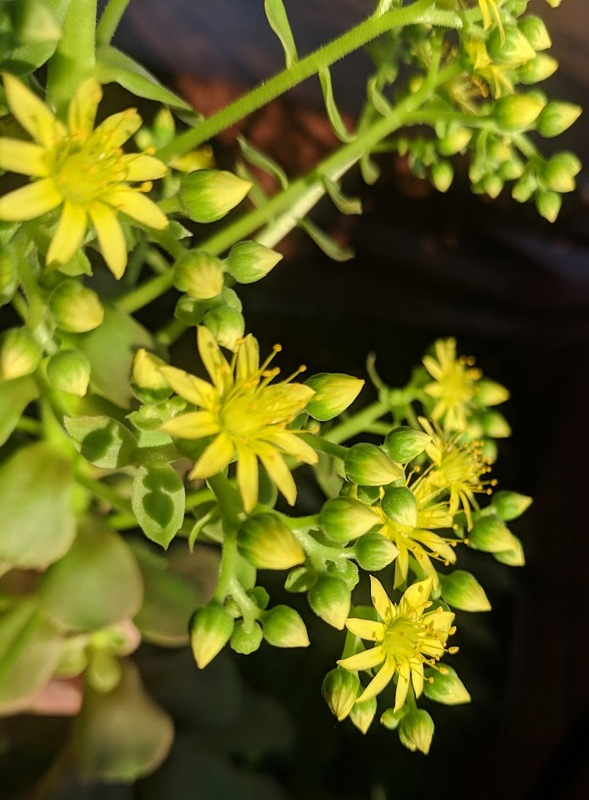 The aeonium flowers above are beautiful on their own. Their bright yellow color is a welcome site in winter. Succulent flowers come in a wide variety of shapes and colors, but most are not nearly as showy as these– and I hate to ruin the ending, but I still cut these off! However, if this is the first time you have seen your succulents flower and you want to experience it for yourself, go ahead and let that baby bloom. My guess is that you will be underwhelmed with the flowers but at least you can see for yourself what they look like. 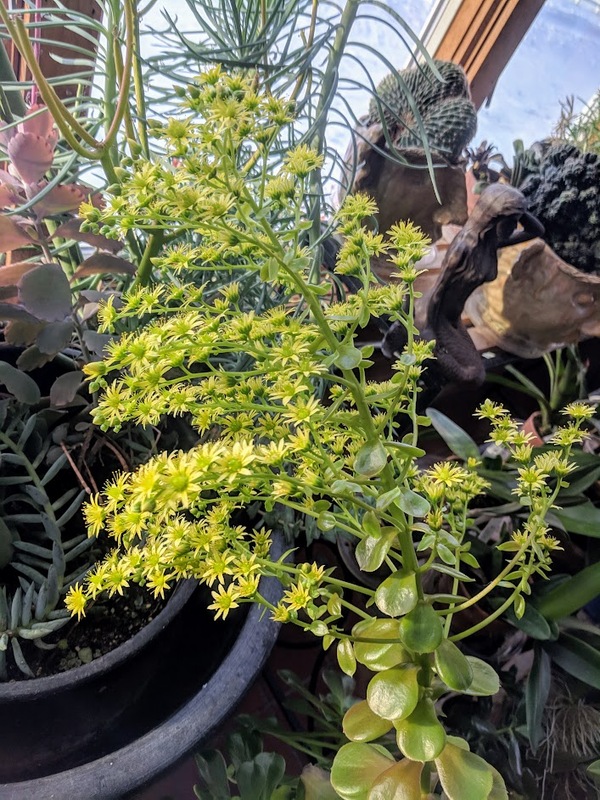 At first I thought that my aeonium was stretching for more light, but when the other stems remained nice and compact it was clear that this succulent was getting ready to flower. 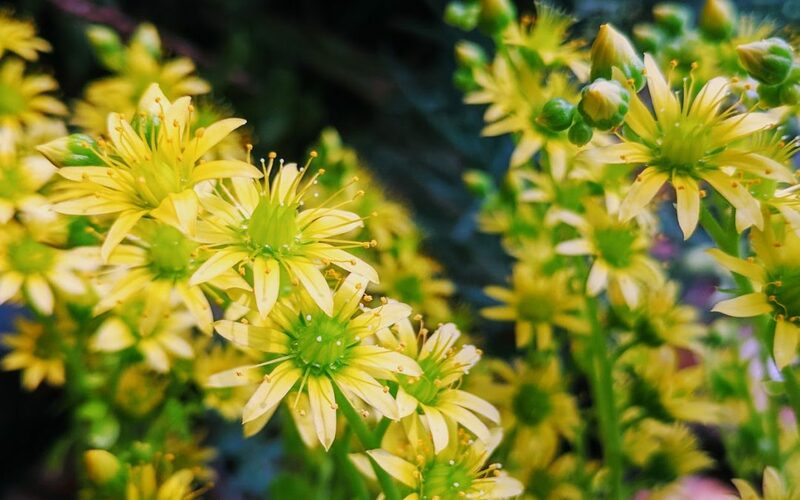 As gardeners we love and embrace flowers, so why would I recommend removing these succulent flowers? Most of us grow succulents for their unique shapes, colors and textures. We are not growing these to attract pollinators, to feed our families or to provide privacy in the backyard. 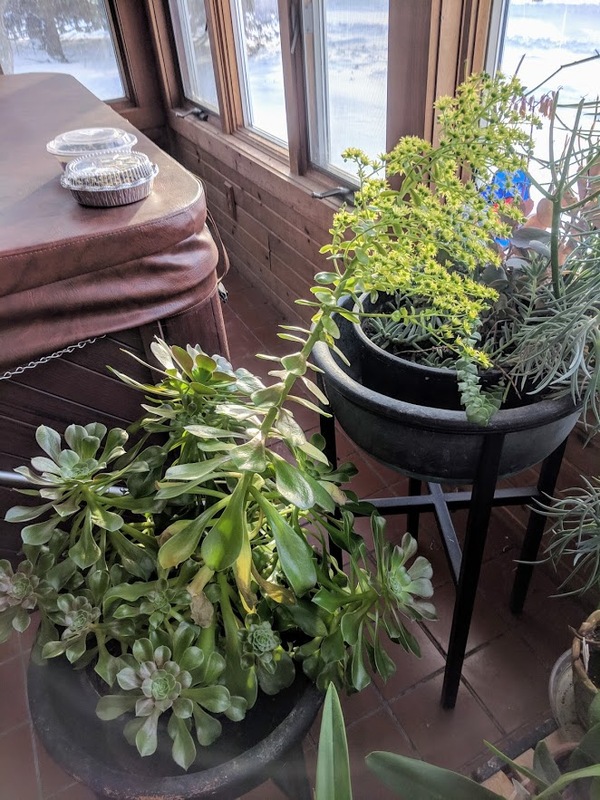 And, as you can see below, the flower spike on this aeonium was turning my compact bowl of succulents into a floppy mess. 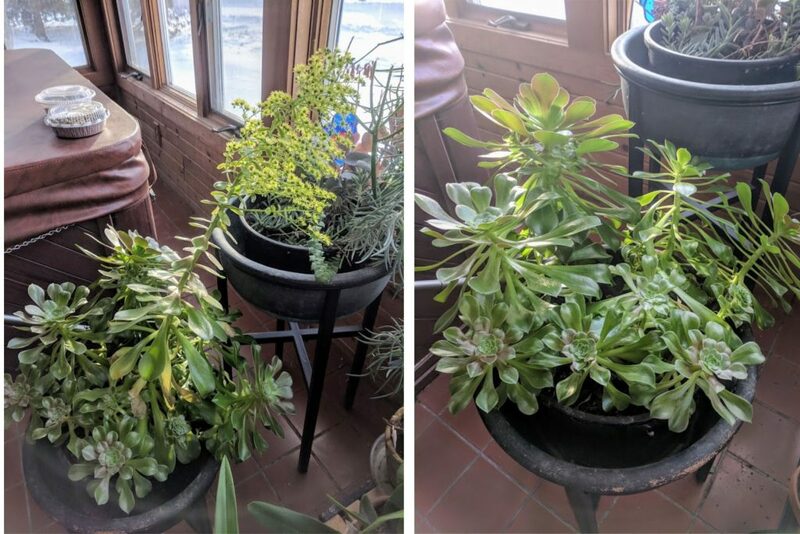 The before and after photo below shows just how much tidier this plant became once I remove the large aeonium flower spike. You can simply snap it off by hand near the base or use a pair of snips to cut it down. The flower spike itself is quite top heavy and the brittle nature of these succulents made this very easy to do.